Lots of prizes, but can you find them? This year there will be the usual fun and games on land for kids. Underwater Easter Egg hunt will start at 9:30am, the prize list will include lots of surprises and not just chocolate eggs… watch this space. Entry cost will be the normal lake entry of £10.00 plus a £2.00 donation to Project Aware. Throughout the whole Easter weekend there will be fun for all the family, children dressed as bunnies will receive a free gift, there will be an Easter bonnet contest, games, tombola and a land based Easter Egg hunt for non-divers. Come and help us with this years Project Aware clean up weekend. Always a huge success. A fun weekend with prizes and games. 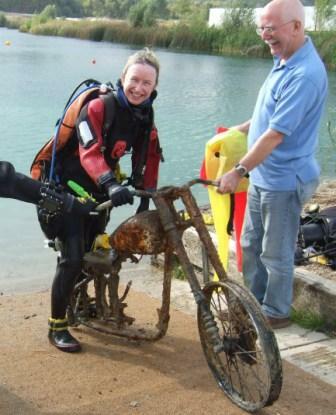 There will be a raffle, trade stands and plenty to do for divers and non-divers, so bring the family and ‘muck in’! Prizes and giveaways during the weekend. We will also be running PADI Dive for Debris Courses so give us a call for more info or to book your space.